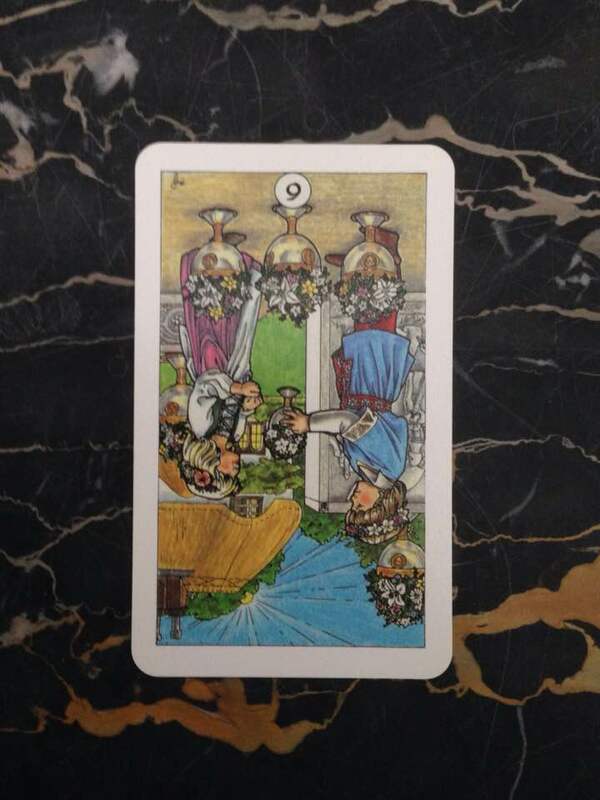 Card is from the Robin Wood deck, published in 1991. This card encourages you to get in touch with your kind, generous side. You may have been feeling cranky lately, fretting about your own problems and not thinking about the people around you. But that’s not really you. You’re at your best when you reach out to others and share the love. Make an effort to do this for the next few days. Donate some things to charity, volunteer at your local library or animal shelter, give a little money to a crowdfunding project. Carve out time in your day to spend with your loved ones and pay conscious attention to them. Think good thoughts about people who annoy you. Compliment a stranger on his hat. You’ll find that the Universe will ensure that your energy of kindness will be returned to you on many different levels.